Our most-popular game expanded! 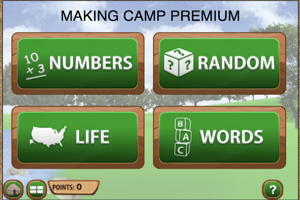 Get three times the content of "Making Camp Ojibwe" in this fun and interactive app. In "Making Camp Premium," players practice multiplication and division skills while learning math problem-solving strategies. They’ll also be introduced to Native American history. PLUS get the completely new words challenges section, an activity randomizer and more. Customize your virtual wigwam inside and out. 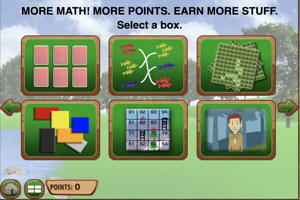 Earn points by solving math problems, learning about language arts and answering social studies questions in the village-building simulation game.